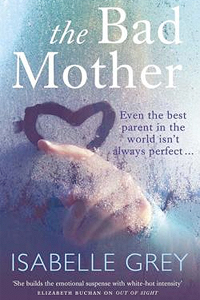 Tessa Parker's teenage son Mitch has gone missing and as she admits to the police that she is responsible for this terrible event, scenes of mental and perhaps even physical abuse quickly come to mind that would explain the novel's ominous title: The Bad Mother. Before the reader discovers why Tessa believes she is to blame for whatever terrible ordeal has fallen upon her son, the story is rewound to a time where her life still seemed reasonably pleasant and straightforward. However, both Tessa and the reader soon find out that everything is not quite as carefree as it seems. Her marriage has been falling apart for years without her paying attention to it, but when even her children know that their parents are split up and as her husband is ready to move on, Tessa realises she's been so focussed on her work in the family-owned bed and breakfast that mostly everything else in her life has taken a back-seat. Just when she is at her most fragile, a long-lost relative arrives into town, turning Tessa's world upside down with the revelation of a long buried family secret. What follows is a story of self-discovery for Tessa as she tries to piece together who she really is and what this newly found information means not only for herself but also her for her parents and two children. It's an intriguing journey for the reader and a difficult one for Tessa, particularly when she starts looking for more and more answers to questions she didn't even realise she had before her aunt came to visit. While I was swept away by Tessa's journey, I was ultimately disappointed by the novel's abrupt finish. When we finally return to the moment that Mitch has gone missing the mystery is swiftly unravelled, almost as if author Isabelle Grey lost interest in his case along the way and tried to wrap it up in the quickest way possible, which was very anticlimactic to say the least. In fact, despite starting the novel with story of Mitch, he doesn't feature heavily throughout the novel nor does his storyline seem the obvious one to dedicate both start and finish on. Instead it should have been focussed on Tessa and the discovery about her family, in particular the contact she's had with someone who may not have been honest in their intentions for her. But that storyline is dismissed off at the end as well, as if her decision to pursue contact will not have any implications on her future, which it almost certainly will. The Bad Mother is well worth a read for Tessa's story of self-discovery, as it's an enthralling and often surprising journey for both the character and the reader. It is just a shame that an overall very gripping and well-written novel is hampered by a loss of focus and a deflating ending.